A source close to Nigeria’s U-23 team coach, Samson Siasia has revealed that the Nigeria Football Federation are just blowing their trumpet in a bid to cover up for their mischievous acts. Siasia led the Dream Team VI to win the bronze medal at the Rio Olympic Games after overcoming Honduras 3-2 in the third place match. The broze medal happens to be Nigeria’s only medal at the games. 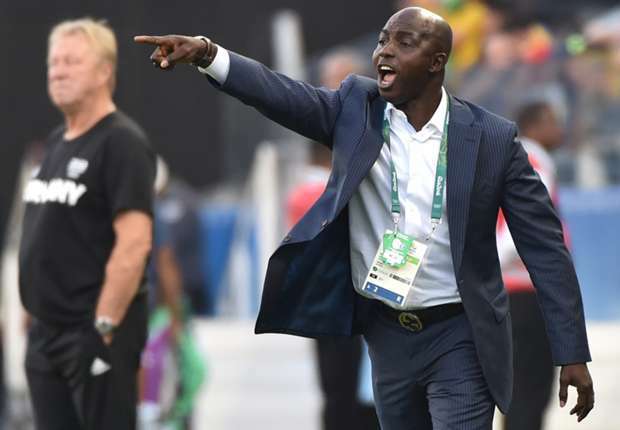 In a published report on owngoalnigeria.com, a top official of the Nigeria Football Federation has claimed that Siasia would be exposed if he doesn’t shut his ranting mouth. Despite the lingering speculation over the seizure of the $139,000 that was given to the team by a Japanese surgeon, which has caused an unfriendly relationship between Siasia and the NFF, the source told Soccernet.com.ng that the NFF can go ahead and prove their facts to the media. “If he doesn’t celebrate the bronze medal the team won at the Rio Olympic Games in Brazil, what else does the NFF want Nigerians to celebrate? They should be ashamed of themselves because this was a team that was left stranded in Atlanta, USA and yet performed the unthinkable by beating Japan 5-4 in their opening match. “The truth is, the NFF should just accept they have failed Nigerians and stop finding faults on Siasia by saying he selected players without merit.” the source said. Five things Victor Moses must do in the summer .